Elder abuse impacts millions of people around the world. The National Council on Aging estimates that one in 10 Americans age 60+ have experienced elder abuse, but many cases go unreported. The Area Agency on Aging’s Elder Abuse Prevention program is designed to increase awareness of elder abuse, neglect, and exploitation. We provide elder abuse education training to area seniors and caregivers. Training topics include how to detect and prevent elder abuse and fraud. We also partner with other agencies to increase awareness of Elder Abuse. There are five types of elder abuse: Physical abuse, emotional/psychological abuse, financial/material exploitation, sexual abuse, and neglect. 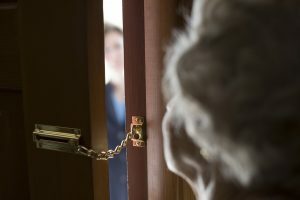 If you suspect elder abuse, neglect, or exploitation, call the Florida Abuse hotline at 1-800-96-ABUSE. This toll-free number is available 24 hours a day, every day. You can report any type of abuse to the Florida Abuse hotline. Reports are confidential and can be made anonymously. The United Nations General Assembly has designated June 15 as World Elder Abuse Awareness Day. The goal of this day is to ensure our elders live free from all forms of abuse. Each year, the Area Agency on Aging for Southwest Florida participates in local events that commemorate this important date. AAASWFL’s Elder Abuse Prevention programs are funded through the U.S. Older Americans Act. To schedule an Elder Abuse Prevention presentation, call the Elder Helpline at 866-413-5337 (866-41-ELDER). You can also visit our speakers’ bureau page for other presentations.